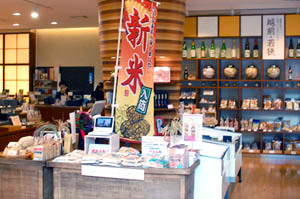 The food-and-drink section of this spacious prefectural shop stocks frozen fish, miso paste, goma-dofu (sesame tofu), assorted herbs, artisanal vinegars, and around thirty types of sake from Fukui Prefecture. 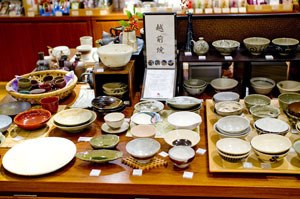 There's also a great selection of pottery and other local handicrafts. 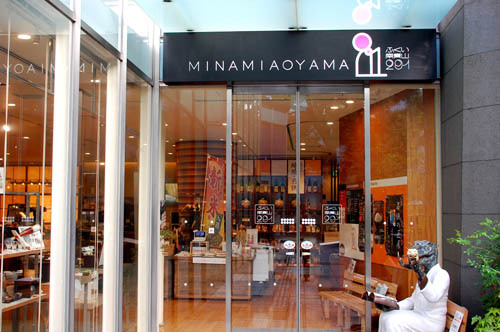 A cafe-restaurant area behind the shop serves full meals.